Despite Germany's unfounded fears that Moscow could meddle in its upcoming election, analysts say they “haven't seen any trace of the Russians.” Instead, they say there is evidence that America's far-right is trying to sway voters. “So far we have not been able to track down any specific Russian activity,” Simon Hegelich, a professor of political science data at the Technical University of Munich who has advised the German government about the threat of hacking and false information, told USA Today. According to Hegelich, America's so-called ‘Alt-right’ movement, a term which defines far-right ideology which includes racism and white nationalism, appears to be aiming to influence the German election. 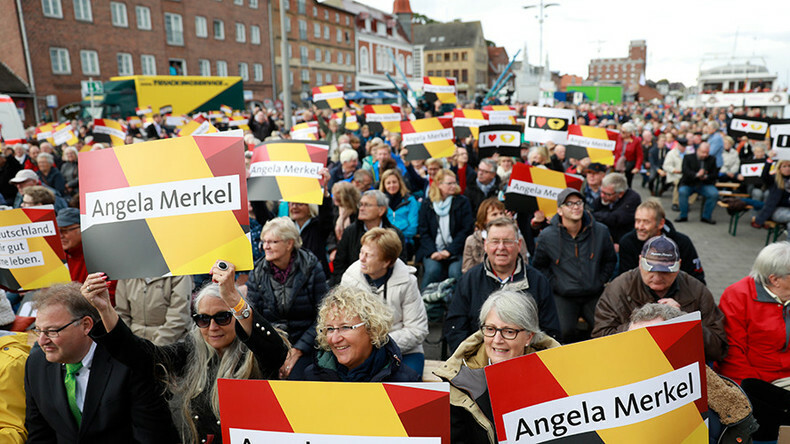 “A lot of the stuff we are seeing in Germany can be linked to, or is at least inspired by, the ‘Alt-right’ movement in the US,” Hegelich said. According to USA Today, analysts say right-wing groups are behind election-related materials being posted on YouTube, as well as message board sites such as 4chan and Reddit, and texting service Gab.ai. An analysis of 300 million tweets over the past six months by Hegelich and his research colleagues found many online posts regarding the German election which included the hashtag #AltRight. Many of those posts originate in the US, Hegelich said, while baselessly stating that some of the posts coming out of the US may be connected to Russia interference, but that such information is difficult to determine. However, Sandro Gaycken, founder and director of the Berlin-based Digital Society Institute, also stressed there has been no evidence of Russian meddling. “We haven't seen any trace of the Russians, just right-wingers,” Gaycken said. Melissa Hooper, an expert on legal and civil society issues related to former Soviet Union countries, looked at the possibility of Russian meddling from a different angle, noting that if Moscow had any information on German Chancellor Angela Merkel, that information would have been made public. “If the Russians have any juicy information obtained on Merkel or anyone else they probably would have dumped it by now,” she said. Although the German election is still days away, government security officials have repeatedly called its legitimacy into question, claiming that Russia could influence it in a number of ways. “We believe that Russia is capable of starting disinformation campaigns in connection with the elections to the Bundestag [the Lower House of the German parliament],” the head of the German state security agency (BfV), Hans-Georg Maassen, told Die Welt newspaper last month. The report boldly blamed Russia for attacks on German political targets and accused the Kremlin of using internet trolls to sway public opinion and spread pro-Russian views. However, Maassen eventually admitted that there was no evidence that Moscow was responsible for recent hacking attacks in Germany. Merkel herself also pointed the finger at Russia as early as November 2016. “We already know that we have to deal with reports from Russia or also with cyberattacks from Russian sources or even with the reports from which we are confronted to some extent with false information,” Merkel said at the time. Despite the ongoing claims of the Russian government's alleged intent to influence Germany's election, Berlin officially admitted in December 2016 that it had no solid evidence of any such plan. 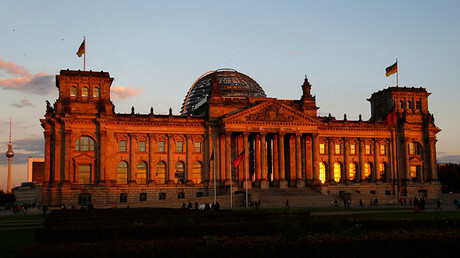 That confession came after an MP filed an official request, asking the German government to reveal what evidence it had concerning the alleged interference. 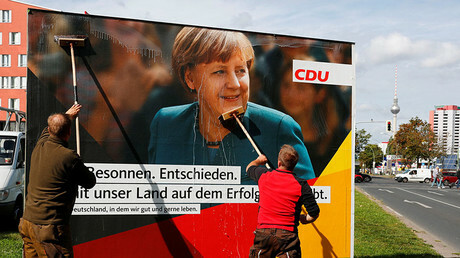 The election will take place on Sunday, with Merkel favored to win a fourth term as chancellor, beating out rival Martin Schulz. Russia has repeatedly denied accusations that it meddled in the US presidential election, or that it had any intention of doing so in the German election. “We never interfere in the political life and political processes of other countries, and we would very much like it if nobody interfered in the political life of Russia, too,” Russian President Vladimir Putin said during a joint press conference with Merkel in May.